Τhe Baltimore-based importer and distributor of olive oil and vinegar Pompeian Group, is entering into a new equal partnership with the DCOOP Group of Spain, the largest olive oil cooperative in the world. 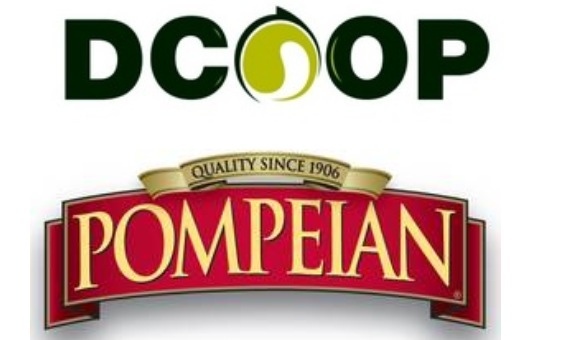 Pompeian, through its group of olive oil companies in the United States, and DCOOP, through its subsidiary Mercaóleo, will conduct an exchange of shares with a transfer of assets between both holding companies. The partnership creates the global leader in olive oil, striving to meet the soaring demand for high quality, authentic olive oil with full traceability from tree to bottle. The first-of-its-kind agreement brings together the best possible raw materials and the finest production and bottling facilities in the world, merging assets that include an ultra-modern production facility in Spain directly next to the olive farms. Pompeian Group is the top importer and manufacturer of olive oil in the United States that produces the #1 selling extra virgin olive oil on the market. A pioneer in bringing quality olive oil to the American table, Pompeian is the first national brand to carry the USDA Quality Monitored Seal. In addition, Pompeian’s commitment to quality is extended through North American Olive Oil Association (NAOOA) and British Retail Consortium certifications and Carbon Trust membership. The family-owned Pompeian Group includes manufacturing plants on both the east and west coast. Additionally, the brand owns an olive grove in California. The Pompeian Group produces olive oils and vinegars sold under the Pompeian brand name. The DCOOP Group of Spain is made up of 75,000 family farmers. 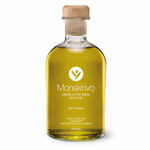 The cooperative produces more than 250,000 metric tons of olive oil per year through 50 million trees. The world’s largest olive grower, the DCOOP farmers produce a diverse crop, including Picual, Cornicabra, Manzanilla, Verdiales, Lechines and Arbequina olives. REVOILUTION – the extra virgin olive oil Espresso!